When Amazon introduced its Kindle eBook reader in 2007, many analysts predicted it marked the end of traditional bookselling. However, over the last five years independent bookstores have seen a resurgence in sales and in the number of stores, all the while selling traditional printed books. One of many reasons for this revival is that booksellers have benefited from continued demand for children’s books, which remain near the top of the fastest growing segments in the publishing industry. When parents and grandparents buy books to read to children at bedtime, they introduce the printed book to a new generation of potential users. As these children have grown up, data show they have been less likely to abandon the printed book in favor of the Kindle. In fact, most readers are happy to read both. Apple announced that it will begin requiring a new level of keyword protection on children’s, teens’, and educational titles in the iBookstore beginning in June of this year. The term “interest age” will now have to be stated and labeled on titles from publishers and self-published authors alike. via Apple to Begin Requiring “Interest Age” Label on Children’s, Teens’ eBooks | Good E-Reader – eBook and Digital Publishing News. 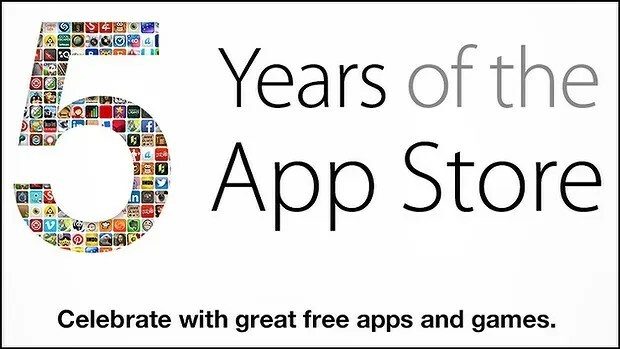 It’s hard to believe that Apple’s widely popular app store is five years old today. They grow up so fast. To celebrate the milestone, Apple has released five apps and five games for free, although other apps are reportedly also free for a limited time without quite as much fan fare. As one source stated, today would be a good day to go see if the price of an app you’ve been needing just happens to cost a lot less. The announced apps and games include Barefoot World Atlas, Day One, How to Cook Everything, Over, and Traktor DJ. The games are Badland, Infinity Blade II, Tiny Wings, Where’s My Water? and Superbrothers: Sword and Sworcery EP. Since these prices are set by the app developers and not by Apple, there is no official announcement as to how long these apps will be available for free, as well whether or not the price drop—a nearly $20 discount for Traktor DJ—was intentional for the milestone. via Happy Birthday, App Store: App Developers Celebrate with Free Content | Good E-Reader – eBooks, Publishing and Comic News.